The City of Laguna Niguel held its' first annual Memorial Day Ceremony at the Sea Country Community Center. This solemn ceremony was organized by American Legion Post 281 which saw a number of leading Community Leaders attend the ceremony. Community Leaders included Mayor Lindholm, Mayor Pro Tem McCloskey and Council members Ming and Davies. 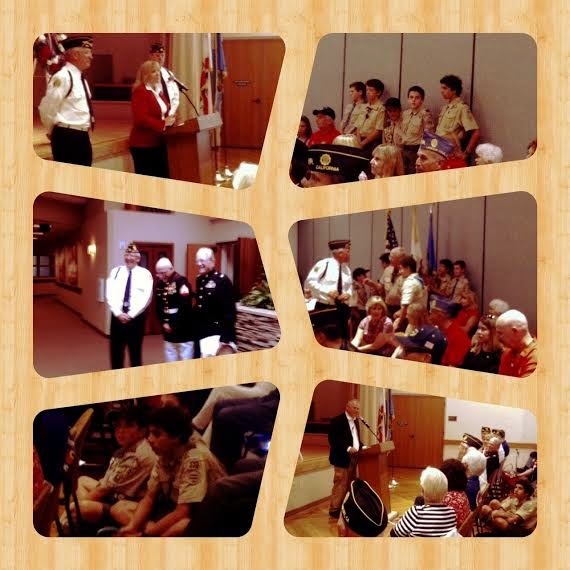 The ceremony began with the Flag Ceremony led by Scouts from Laguna Niguel's Troop 772--The Trailmasters. A reflection upon the history and the sacrifice that America has paid was shared with an audience of Veterans and their Families. A Veteran of the Second World War and a Vietnam Prisoner of War spoke about their experiences. The audience also received a treat as Congressman Rohrbacher was able to join the remembrance and shared a rendition of "God Bless America" as he shared his perspective on the day of remembrance and all who have paid the ultimate price. The ceremony concluded with a laying of the wreath at the remembrance plaque to honor all the fallen on this solemn day.